GREEN, BENJAMIN, merchant and officeholder; b. 1 July 1713 at Salem Village (Danvers, Mass. ), the son of Reverend Joseph Green and Elizabeth Gerrish; m. November 1737 Margaret Pierce, and they had at least three sons and two daughters; d. 14 Oct. 1772 at Halifax, Nova Scotia. 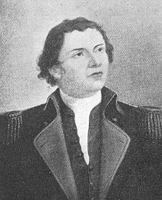 Benjamin Green reputedly began his career as a merchant with his brothers Joseph and John at Boston, where he was twice elected constable. 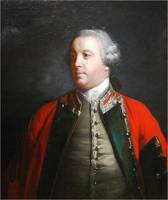 On 1 March 1745 he was appointed secretary to William Pepperrell*, commander of the expedition against Louisbourg, Île Royale (Cape Breton Island). 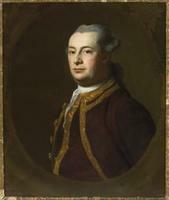 He was joint treasurer to the New England forces after the surrender of the fortress, and he also served as secretary to the Council at Louisbourg until at least May 1746. The same year he succeeded Thomas Kilby* as commissary. In July 1749 Green sailed to Chebucto Bay and met Edward Cornwallis’ expedition; he soon became a member of Cornwallis’ first Council as well as naval officer for the new town of Halifax and judge of the Vice-Admiralty Court. The following year he was appointed secretary to the Council and provincial treasurer. Green resigned as secretary in 1752, declaring that it was a full-time position and that his other offices required considerable attention. The following year he resigned as judge of the Vice-Admiralty Court because of an apparent conflict with his position as naval officer; he chose to retain the latter office because of his need for its “Certain Income.” In 1758 Green, as senior councillor, unsuccessfully contested with Chief Justice Jonathan Belcher the right to administer the government of the province in the absence of the governor and lieutenant governor. 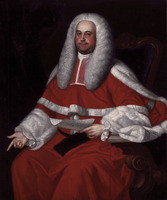 In March 1760 he was appointed a justice of the peace at Halifax. Late that year Green departed for England, apparently to assist in the review of unaudited accounts of former governor Peregrine Thomas Hopson* as the latter had requested. Still in England in 1762, Green was experiencing financial problems because the authorities refused to reimburse him for his expenses until the Treasury had approved the auditors’ report of Hopson’s accounts. 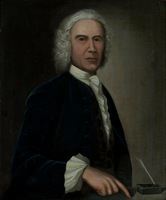 In 1761, possibly because of these problems, Green had mortgaged much of his property in Nova Scotia, including four large warehouses in Halifax, to two London merchants for £6,000 He satisfied the claims on his property by November 1765, but the exact nature of the settlement is unclear. At least some of Green’s land was surrendered and later became the property of Brook Watson*. 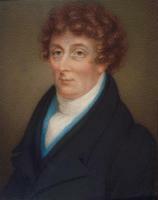 While in England Green had faced problems other than financial; the Board of Trade asked him to explain charges of misconduct made by Robert Sanderson, first speaker of the Nova Scotia House of Assembly. Sanderson accused Green of having given the Halifax merchant Malachy Salter two government contracts in return for a share in the profits. Green admitted his partnership with Salter but denied ever having made undue use of his influence as a Council member. The board found Green “highly blameable,” but because of his good record it only reprimanded him and he continued in his offices on his return to Halifax in 1763. The following year a reduction in his salary as provincial treasurer led him to express doubts that the income from his remaining appointments would be sufficient to support his family. Green remained on the Council, and on the death of Governor Montagu Wilmot* in 1766 he became the administrator of Nova Scotia until Michael Francklin received his commission as lieutenant governor. During his three-month tenure the assembly, anxious to assert its authority in fiscal matters, attacked him for neglecting to follow correct procedure in handling the province’s finances. In December 1767 Green made his will, admitting himself “Something Infirm.” Two months later he resigned as provincial treasurer, but in October 1771 he assumed the administration of the province again on the departure of Governor Lord William Campbell. Continued sickness made his duties onerous, and in March 1772 he asked to resign his post as naval officer because his health was “very much impair’d.” In June Francklin reported that Green was too unwell to transact business and might never again attend Council meetings. He died four months later. Halifax County Court of Probate (Halifax), Book 2, pp.84–85 (will of Benjamin Green, 4 Dec. 1767). Halifax County Registry of Deeds (Halifax), 6, nos. 129, 130 Mass. Hist. Soc., Louisbourg papers, 1745–58; Thomas Hancock, letterbook, April 19, 1745–June 16, 1750. PANS, RG 1, 163;164, p.20; 209, 10, 23 Oct. 1752; 211, 20 May 1758, 11 March 1760, 23 May 1766; 212, 2 Feb. 1768, 8 March 1776; 491, p.5; 492; 493. PRO, CO 217/16, f.264; 217/17, f.48; 217/18, ff.58, 73–78, 113–17; 217/19, f.20; 217/20; 217/21, f.222; 217/23–25; 217/26, ff.103, 114; 221/28, f.4. Correspondence of William Shirley (Lincoln), I. Louisbourg journals, 1745, ed. L. E. De Forest (New York, 1932), 235. Massachusetts (Colony), General Court, House of Representatives, Journal (Boston, 1755; repr. 1957), 316. Mass. Hist. Soc., Coll., 6th ser., X (1899), 3n, 32, 90. Nova-Scotia Gazette and the Weekly Chronicle (Halifax), 20 Oct. 1772. Shipton, Sibley’s Harvard graduates, IV, 133, 230; VI, 314. Brebner, Neutral Yankees (1969), 84, 198ff., 201, 224–27. A. S. Burrage, Maine at Louisburg in 1745 (Augusta, Maine, 1910), 117n. R. F. Seybolt, The town officials of colonial Boston, 1634-1775 (Cambridge, Mass., 1939), 220, 229. A. S. Barnstead, “Development of the office of provincial secretary, Nova Scotia,” N.S. Hist. Soc., Coll., XXIV (1938), 1–31. Donald F. Chard, “GREEN, BENJAMIN,” in Dictionary of Canadian Biography, vol. 4, University of Toronto/Université Laval, 2003–, accessed April 20, 2019, http://www.biographi.ca/en/bio/green_benjamin_4E.html.